I was working on something else last night when I got the news that was spreading and shocking wrestling circles everywhere. 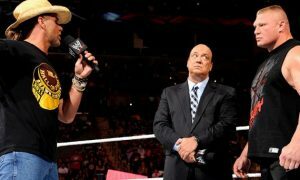 C.M Punk had walked out of the WWE this past Monday night right before Raw, and flew home to Chicago. I had thought it strange that he wasn’t on Raw and, I did wonder if there was more to why he wasn’t there. I waved it off as him getting a much needed night off. As a huge C.M Punk fan, I was saddened by this news, but it hardly shocked me. I didn’t expect it though, and I sure didn’t see it coming at least not this way. Of course I’ve considered the possibility that it could all be a work yes (which can never be completely ruled out) but I won’t dwell on it for, I doubt it is at least at this time. That can change in the blink of an eye, if something is worked out between them. As most people know Punk’s current WWE contract expires in July. When asked recently what his plans were, and would he resign with the company, he pretty much said that everything was up in the air. However since he is under contract it is fair to say that yes, he should honor it until it expires. I won’t argue that point for it is the professional thing to do especially for his sake. However, as a fan of not only him but of the WWE, I have been just as frustrated with the direction of the company, and the booking of his character as he seems to be right now. For starters he was riding high during his feud with Heyman, and Brock Lesnar despite his loss to Lesnar during last year’s great Summerslam match between them. His career since that feud has fizzled in a way. His feud with Ryback and Curtis Axel really felt like a let down at least to me. It was a far downgrade from the exciting feud he had with Lesnar, a feud which screamed rematch since they only fought once, and Lesnar won that first match. Personally, I would have preferred to see Punk wrestle Lesnar again at the Royal Rumble instead of Big Show especially if he could have got that win back. It would have been a huge win for him. Big Show vs Lesnar was not a match I cared to see not really. Apparently the company wants to keep Lesnar strong for his possible match with The Undertaker at WrestleMania, so this was the match they went with. I can understand the logic behind this, but as a fan it’s still a frustrating thing to deal with. While Punk is an established star it has felt as if moments that could have elevated him higher than where he is right now were taken from him for different reasons; either his title was needed for a major feud going on, or an established star needed a win over him to look stronger for a different program that Punk wouldn’t even be involved in any more. I wouldn’t say this buried him for he has held his share of titles, and is still a star in his own right, but it also has not helped him reach the level of stardom that others have reached. 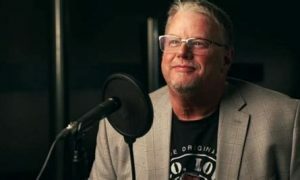 Would Austin, Rock, Sting, Savage Bret, Michaels, HHH, and even Hogan have become the stars they became if they would have lost repeated matches to established stars? It’s hard to say one way or another for there were other factors that still helped put over some of them, but their defeat of aging stars, and established stars certainly helped put them over and huge in some cases. Hogan defeating Andre the Giant at Wrestlemania 3 in 1987. Ric Flair defeating Buddy Rogers in 1979. HHH defeating Mick Foley in three matches in a row. Austin defeating Jake the Snake to win the King of the Ring in 1996, though of course 3:16 really did that for him. 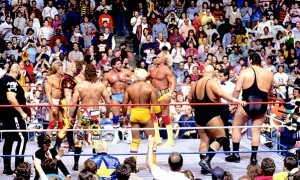 These are just a few examples, and while yes Hogan was already a huge star by the time he defeated Andre, this match and win really put Hulkamania over the top. However when he faced The Rock at WrestleMania 18 it was The Rock who went over him which made sense. John Cena got his win back from The Rock last year which also made sense. Yes Punk has the 434 title reign which made history, a reign that was very enjoyable to watch, and he defeated John Cena for that title. But why did a returning Rock have to be the one to end that title reign? I still do not agree with that decision. The rematch between Cena and Rock already had it’s story, and the title wasn’t even needed for the program at least in my opinion. It would not have hurt the buy rate not to include the title. If anything including the title made the match somewhat superficial at least to me. 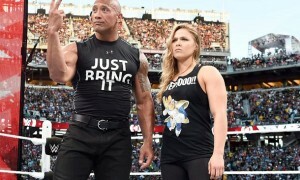 To say that it’s not hating on The Rock, but the Rock already had his WrestleMania title moment as did John Cena. The Rock and John Cena would still have had their novelty match that would have drew the same numbers. I don’t believe the title would have changed that, but the company may have felt that including the title definitely brought more publicity to their program. I suppose that is debatable, but once again a frustrating thing. On top of that Punk lost twice to The Rock. Why couldn’t he win the first match at least? 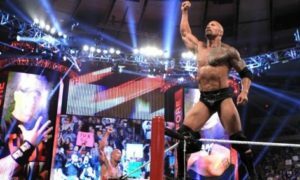 I assume the company felt that Rock needed to be kept as strong as possible for his rematch with John Cena so he couldn’t lose any matches before that big match so in no way could he lose to C.M Punk despite the fact that he was the reigning champion at the time their reigning champion nevertheless. Confusing, but one could still argue the point that Rock needed to look as strong as possible. Whatever one’s input on it, it was another frustrating thing. True Punk may have won the title, and in his hometown of Chicago in all fairness, but he has not won a Royal Rumble or headlined a Wrestlemania which is the one goal he said he had left, and the one thing many successful WWE superstars have accomplished. Despite some of his own accomplishments this is the one moment that has continued to elude him. Unfortunately, it will not happen again at least not on this year’s show. Once again a returning wrestler this one being Dave Batista, entered the Royal Rumble at number twenty eight, won the Royal Rumble, and now has the main event against the current champion Randy Orton during the big show. Meanwhile C.M Punk not to mention others like Daniel Bryan, and Dolph Ziggler guys who busted their behinds all year long are screwed out of the main spot. Few in this business work hard as C.M Punk does. He’s paid his dues, has done his fair share of jobs, and has been more than patient with the direction they have taken his character since losing the WWE title last year. Yet he has not even had a title program since losing that title. As I previously mentioned he had the feud with Lesnar, and then it’s been sort of downhill since. His character seemed to head backwards instead of forward, and it sure didn’t look like they were going to push him any further than they’ve done. He deserves to headline WrestleMania. He earned that. For that to elude him once again could be a major contributing factor to why he walked. That being said however, this is only my take on it. I can’t speak for C.M Punk. Only he knows why he actually walked. Walking away may have been unprofessional, but as a fan and a frustrated one at that, I can understand it too. If he was frustrated at the direction of his character, I can certainly understand that. At the very least, I can understand that. Ana M. Torres is the author of Love Child, Child No More, and is the author of the J and K Christmas titles. She has also submitted articles to Yahoo Voices and Wikinut.